The GS-M300BT has two types of bluetooth interface, HID and SPP. HID mode connects with iOS and Android devices like an external bluetooth keyboard. So no need for any third party software or drivers. 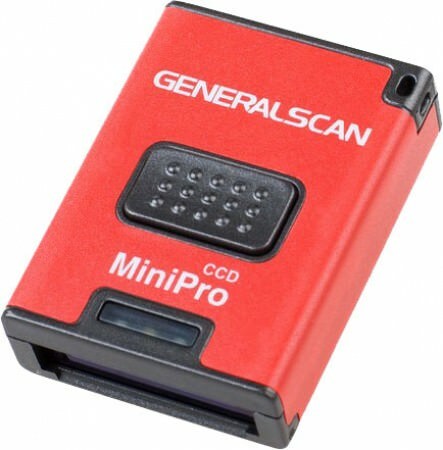 In SPP mode you only need to install a Generalscan Keyboard app, then your application can draw the barcode scanner data into your apps. You do not need care about complex Bluetooth programming technic any more. 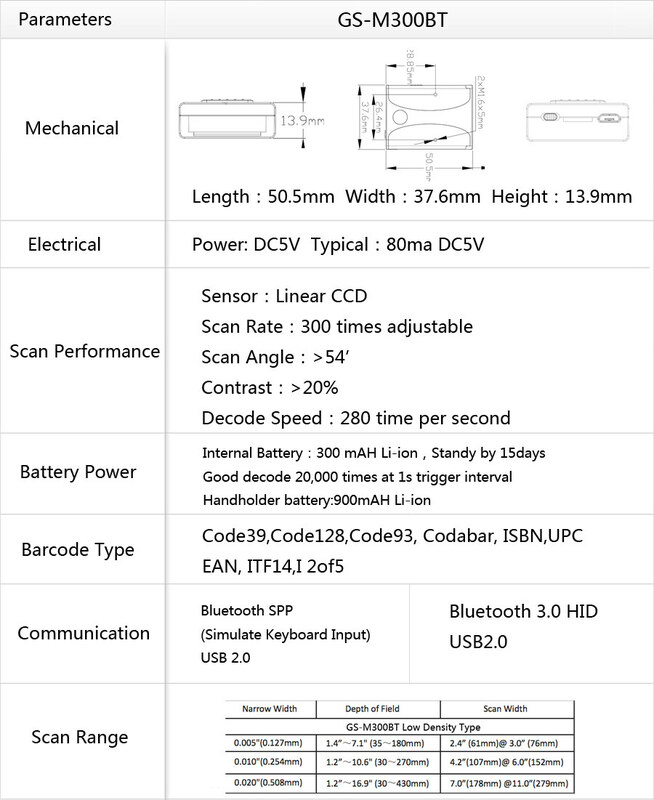 Generalscan companion barcode scanner GS-M300BT is a small size, high performance, 1D barcode bluetooth scanner. Easy install on the back of mobile phone case and make a mobile phone into a professional barcode terminal.